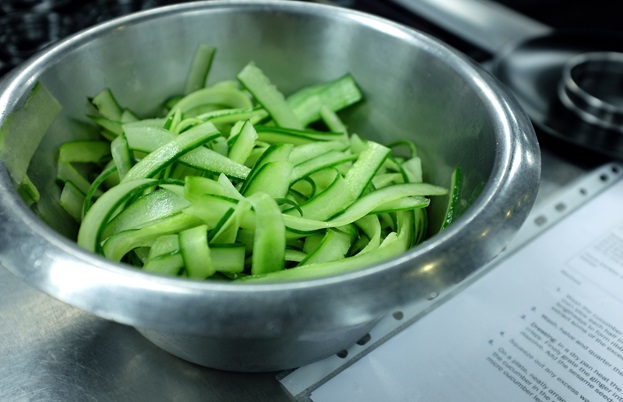 We teamed up with chef Dominic Chapman to discover how cucumbers can be used in more than just salads or sandwiches, and why searing or warming through the vegetable creates such interesting and varied textures and flavours. 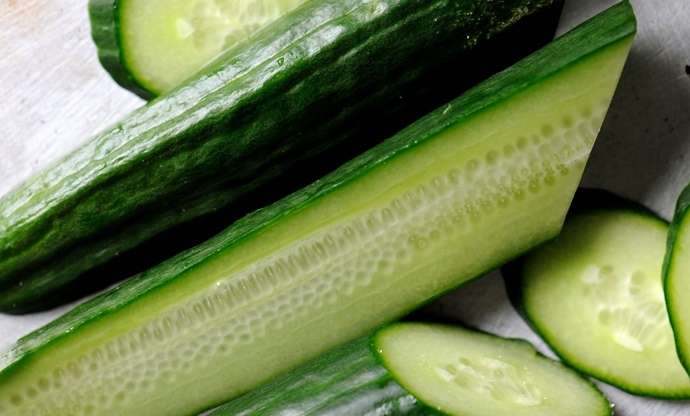 Cucumber sandwiches, cucumber salad, pickled cucumbers – dishes which all have their place in the British food scene, but perhaps not the most exciting foods in the world. It’s for this reason that the cucumber has gained a bit of a bad reputation for being something you chop up and add to lunches for added crunch, and not much else. 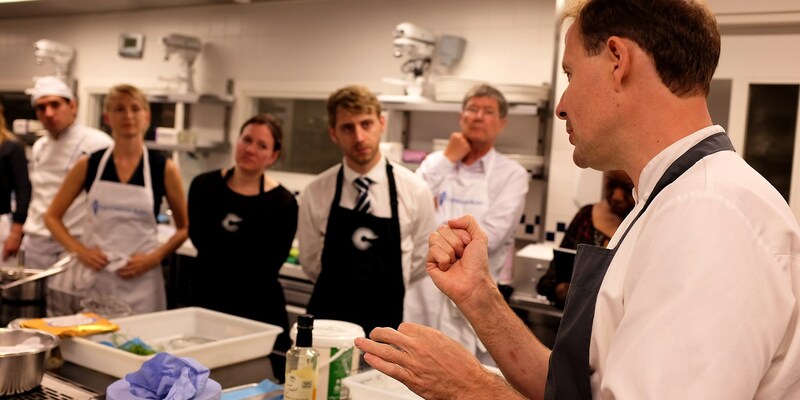 However, as we learnt at the cook school we hosted at Le Cordon Bleu with Dominic Chapman, head chef at The Beehive in Maidenhead, cucumbers are a lot more versatile than you might think. He showed a class full of journalists and bloggers how they’re used in fine dining, and some innovative ways to cook them without turning the flesh brown. The soup was incredibly simple but full of flavour, and ideal for warm weather or eating al fresco. However, Dominic’s main course took turbot, one of the most luxurious fish available, and served it with a warm cucumber sauce for a true taste of fine dining. 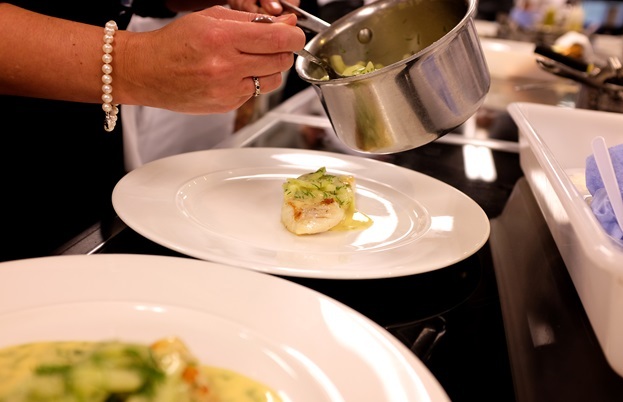 ‘The main course is a lovely piece of turbot served with a cucumber buerre blanc,’ he explains. ‘Turbot is a cracking fish, particularly at this time of year, but you can also use lemon sole. I wouldn’t pair the sauce with sea bass or cod, as they don’t have the right texture.